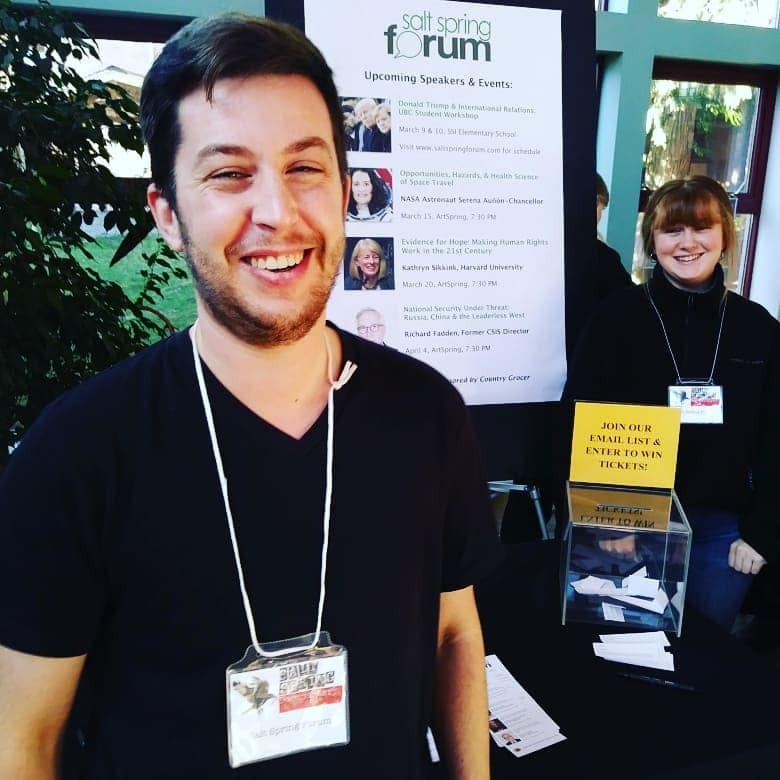 Every year the Salt Spring Forum participates in the Salt Spring Film Festival’s Social Justice Bazaar. The Bazaar brings together many Salt Spring organizations who each have a booth during the two day festival. 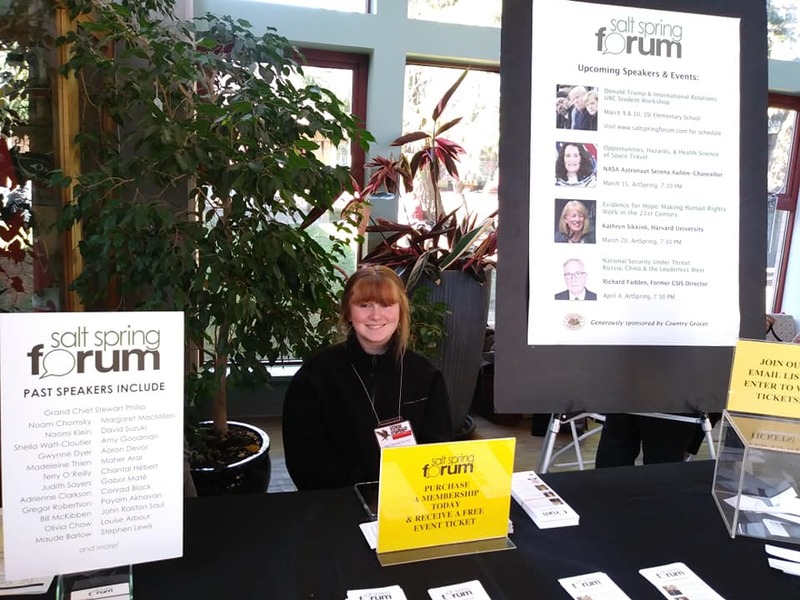 We always have fun meeting friends and fellow local organizers, seeing films, and letting people know about our upcoming events and the perks of being a yearly Forum member. The Festival is a true community treasure and we love participating in it. 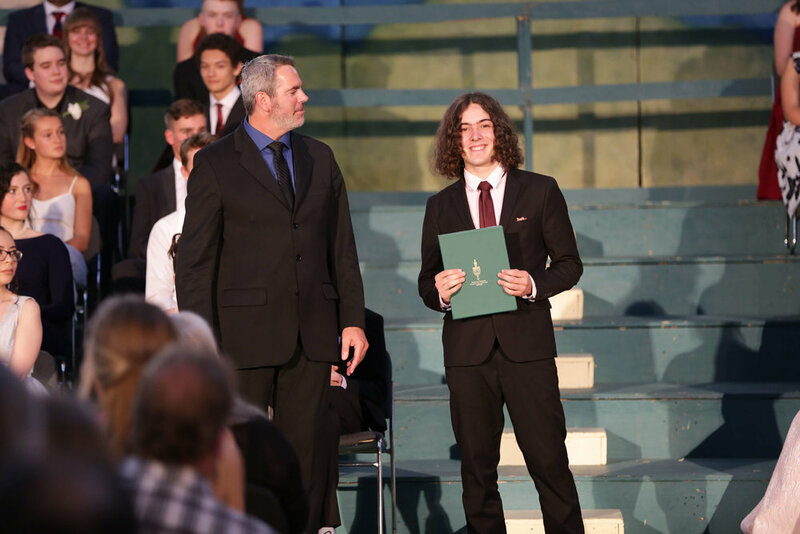 Forum Manager Julian Paquette and Forum youth volunteer Tyger Stafford. Forum youth volunteer Tyger Stafford. Forum board members Brian Hayward and Tony Kennedy. 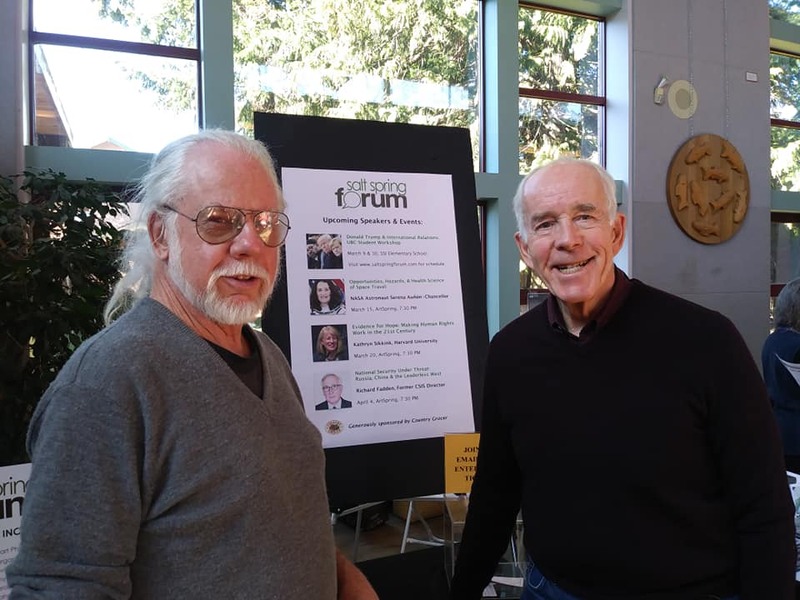 The Forum’s upcoming speakers and events. 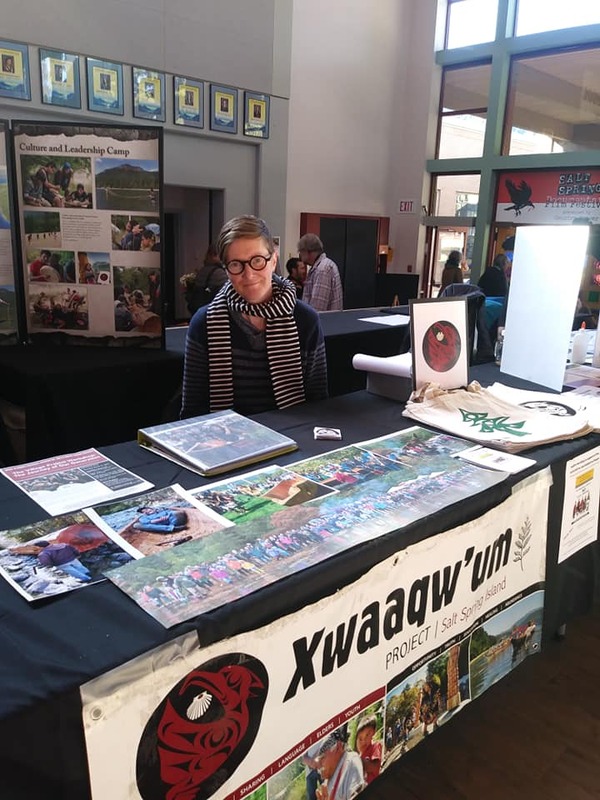 Volunteer Kait Leslie at the Xwaaqw’um table. 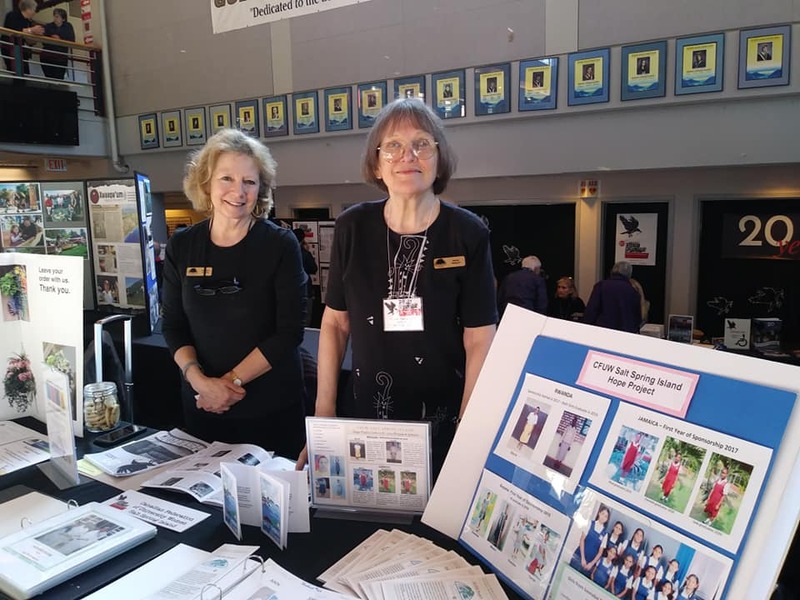 Canadian Federation of University Women volunteers Sandra Hyslop and Irene Wright. Grandmothers to Grandmothers volunteer Jill Tarswell. Jean Gelwicks of Island Pathways (and the Forum). As news was breaking (on Saturday, January 26th) about the resignation of John McCallum — Canada's ambassador to China — we were breaking news of our own. In a turn of events, we would be hosting veteran journalist Jonathan Manthorpe — an international affairs columnist for over 40 years — the same evening to discuss the crisis in Canada-China relations. Also on Saturday, the Globe & Mail published Forum Chair Michael Byers' book review of Jonathan Manthorpe's new book Claws of the Panda: Beijing's Campaign of Influence and Intimidation in Canada. 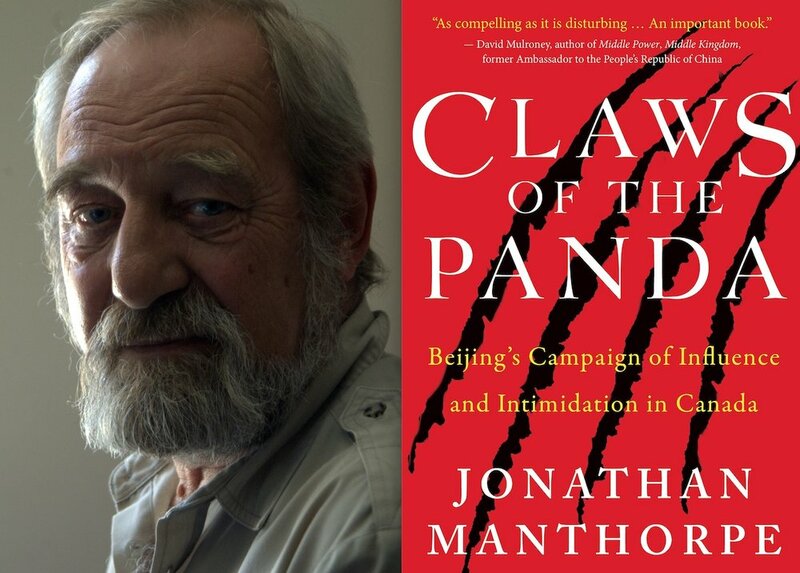 Jonathan Manthorpe is the author of the new book Claws of the Panda: Beijing’s Campaign of Influence and Intimidation in Canada. 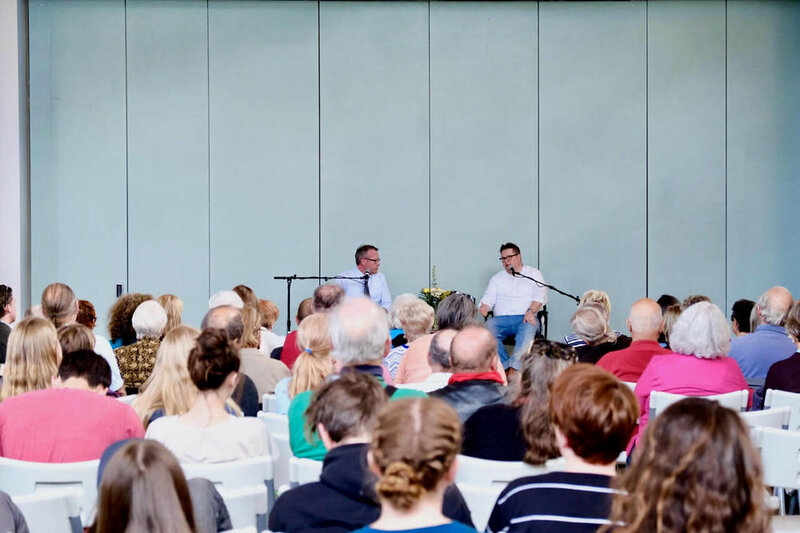 With the arrest of Huawei executive Meng Wanzhou in Vancouver last month, and then the detentions of two Canadians along with the severe resentencing of a Canadian man in China, this timely event helped audience members further understand what is happening between Canada and China as well as understand the history of the countries’ relationship. Manthorpe, for example, highlighted that for decades China has worked to gain influence over Canadian decision-making. 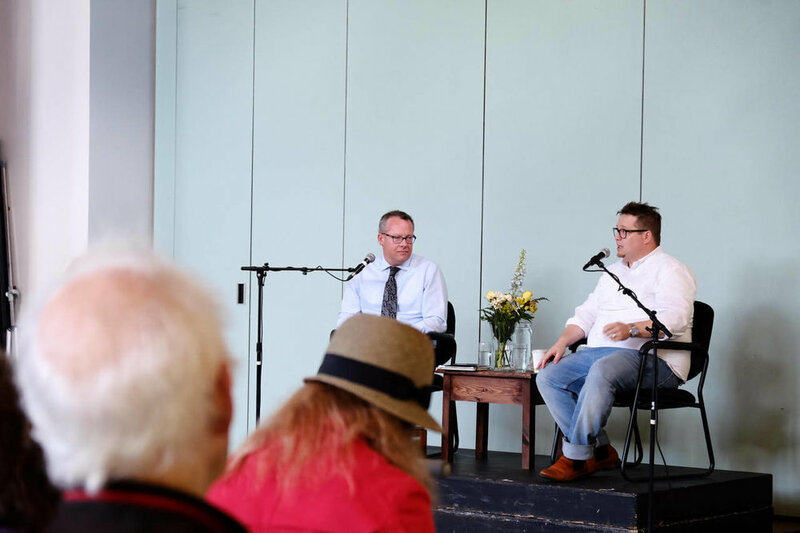 The Salt Spring Forum responds to the current issues facing humanity by presenting relevant and informed guests such as Jonathan Manthorpe. We may be a small organization on a small island in the Pacific Ocean, but we are committed to responding quickly to the big issues of our times. As we approach our eighth year, our little organization is thriving. 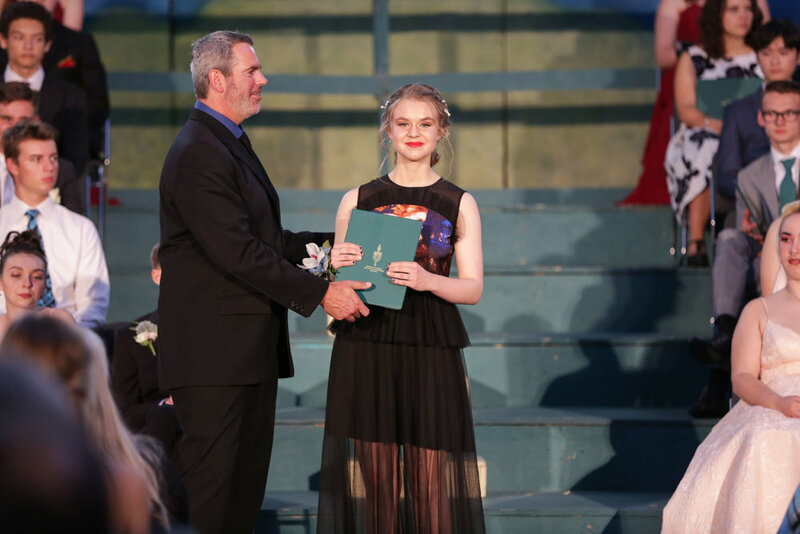 This year we presented 24 thought-provoking speakers, strengthened our partnership with the Student Council at the Gulf Islands Secondary School (GISS), and offered our first continuing education course. Youth participation has increased at all Forum events too. This year, we hosted four daytime events at GISS together with the Student Council. The most recent event drew 900 youth and adults. This important engagement with youth comes at considerable financial cost to the Forum. Please consider donating to our Youth Development Fund. 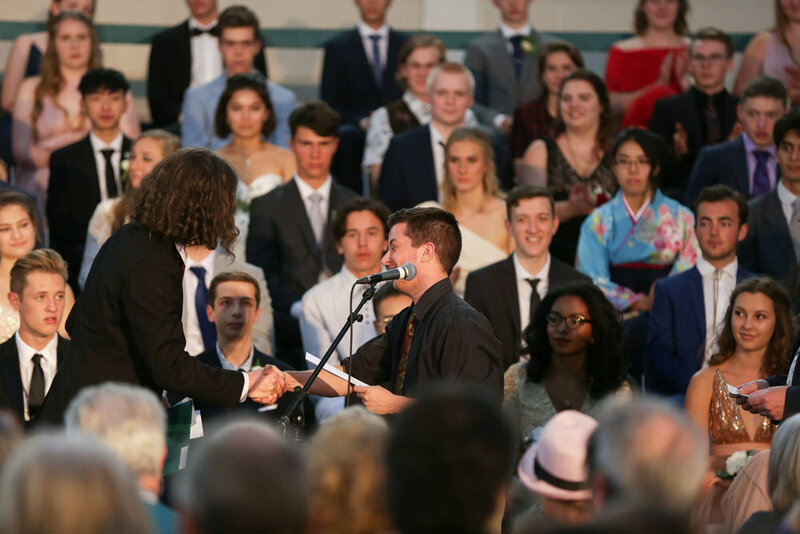 All donations received are tax-deductible and go towards programming that engages and empowers local youth. 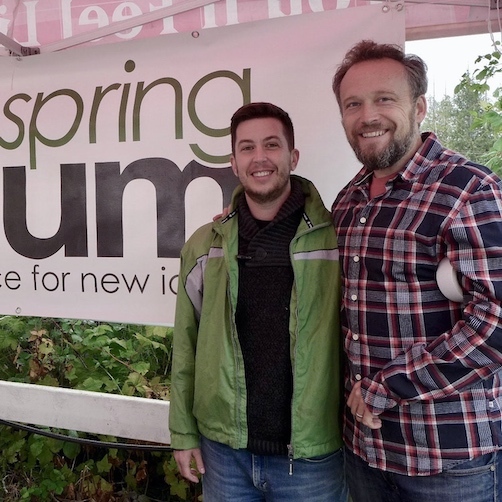 And, if you haven't already done so, please purchase a 2019 Salt Spring Forum membership. 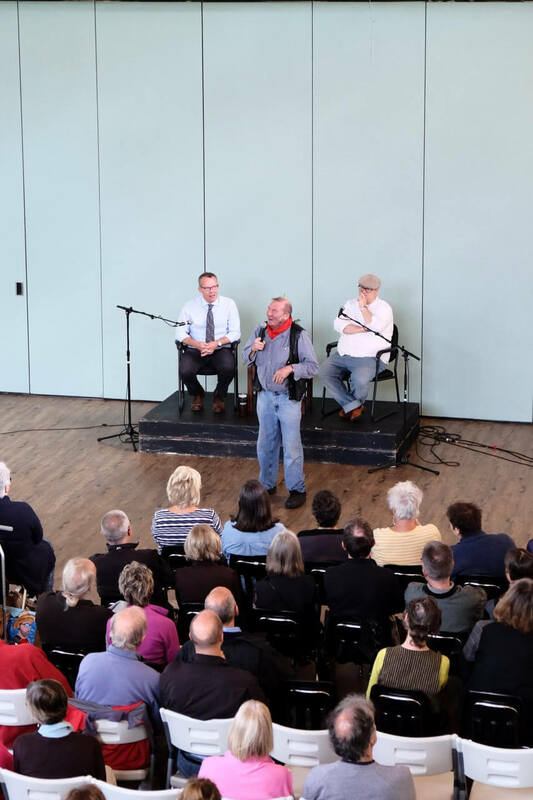 By becoming a 2019 Forum member, you'll help us continue to present world-changing speakers on Salt Spring Island. Thank you for your generosity and support — and for another inspiring year! 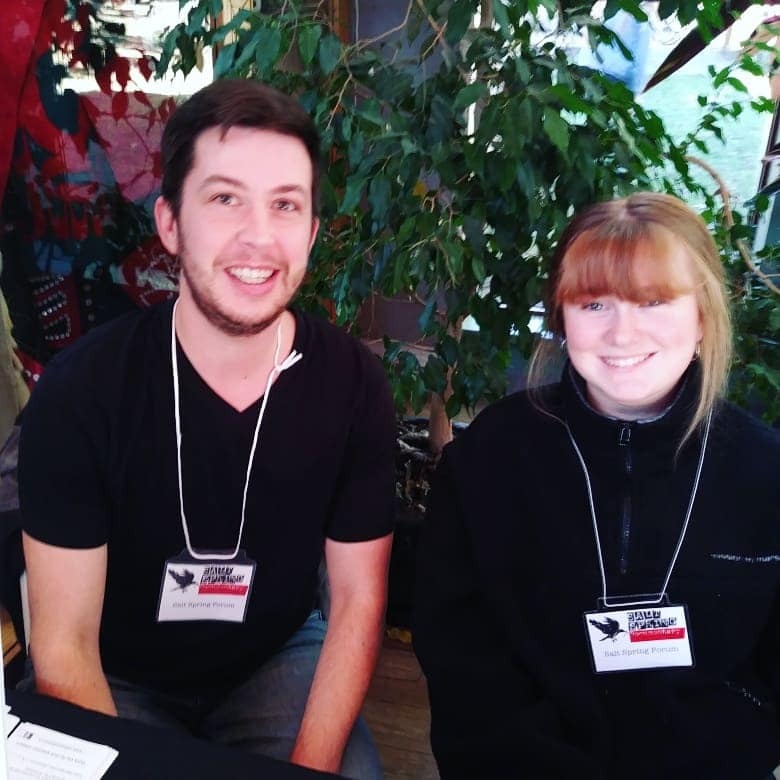 This past weekend (Saturday, March 17 and Sunday, March 18) the Salt Spring Forum hosted nineteen students from the University of British Columbia to present research papers on Canadian foreign policy. 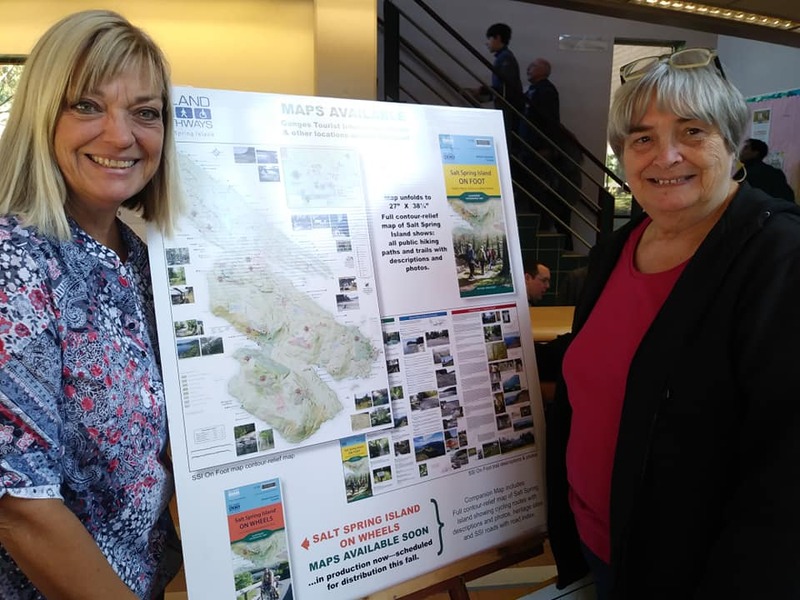 The event took place at the Salt Spring Island Public Library and members of the public attended. 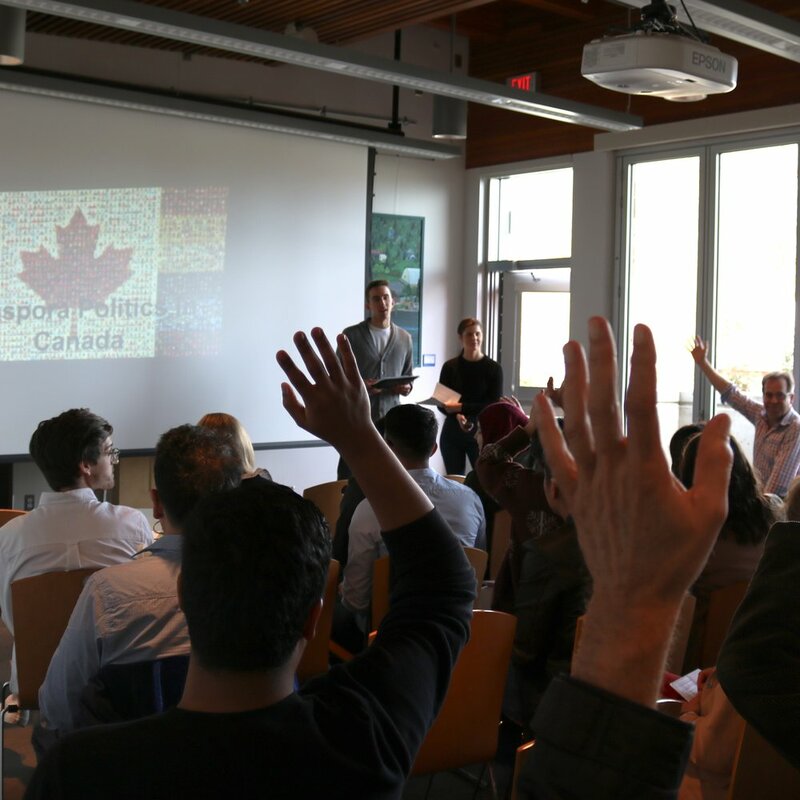 Presentations covered a wide range of topics such as "Canadian Immigration Policy: From Integration to Assimilation?” and "Canada and China in the Arctic". All those who attended learned from the smart young presenters who come from around the world!